Clutch Girlz’ Candace Izumi – Representing Hawaii while crushing sterotypes and the competition | Throttle Life! When you think of the tropical islands of Hawaii, hot rubber, sticky asphalt and race fuel may the furthest images that come to mind, but not for Candace Izumi. 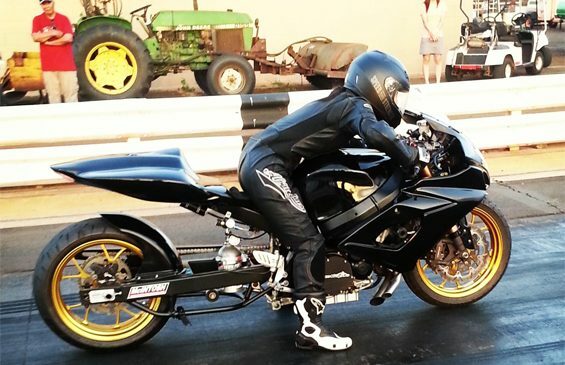 These are all part of everyday life for adrenaline-fueled Candace Izumi as a motorcycle drag racer. 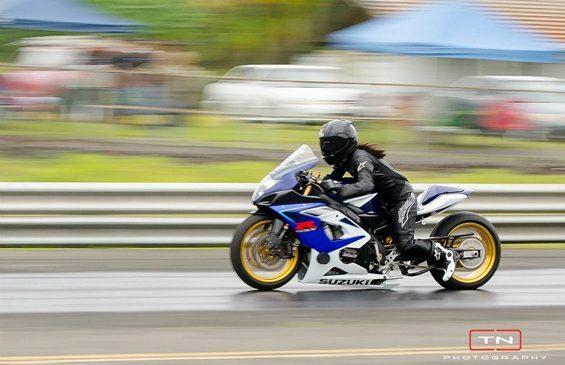 We had the pleasure to catch up with the Hawaiian native and her interest in motorcycle drag racing. I was born and raised in the town of Hilo, on the island of Hawaii. While growing up, I was initially exposed to automobiles and mechanics thanks to my father’s occupation as an autobody repairman and painter. My interest in racing began when I bought my first car in high school. After graduating racing is when I got bit by the racing bug. How long have you been drag racing and how did you get involved in it? I have been racing for the past 7 years. After I went over 100mph for the first time on my first bike, a 2003 Yamaha R6, I was hooked and knew I wanted to race! As much as I loved the R6, I sold it to buy a 2005 GSX-R 750 to be competitive on the track. I moved to the island of Oahu in mid-2006 where the motorcycle racing community was larger so I was able to become more involved in getting my bike on the track and racing. What type of bike do you race? I currently race a 2005 GSX-R 1000, which I’ve been racing for the past 5 years or so. It’s been turbocharged for the past 3 years, but only this past year have I gotten the opportunity to really race it and adjust my setup. How do you feel being a female in a male dominated sport? When I’m around the other racers, it doesn’t bother me. On the two islands that I’ve ever raced at here in Hawaii, the fellow racers have all been friendly and welcoming and make me feel like just one of the guys. However, when spectators or people online ask me things like “Who built your bike for you?” or “Which shop did all the work?”, and when I hear/read people commenting about my bike like that it’s not mine but my boyfriend’s, that bothers me a little, lol. Although I do have people help me with my bike, I do put in a lot of blood, sweat and tears of my own and apparently people still just assume a man does the work for the woman when the woman is in a male dominated occupation like racing. Do you have current or past sponsors you would like to recognize? I haven’t taken up sponsorship opportunities this year but I would like to thank the following for helping me this past year: My boyfriend Travis, Collo’s Garage, Montgomery Power Sports, backinblack2014, fellow Maui racers, McIntosh Machine, Cycle City, JRI shocks, EBSpeed and Andy’s Motorcycle Shop. I also ride my 1000 on the streets and might make it dedicated race bike one day, so I’ll have to find/build another bike for the streets. Either way, you’ll always find me on 2’s.